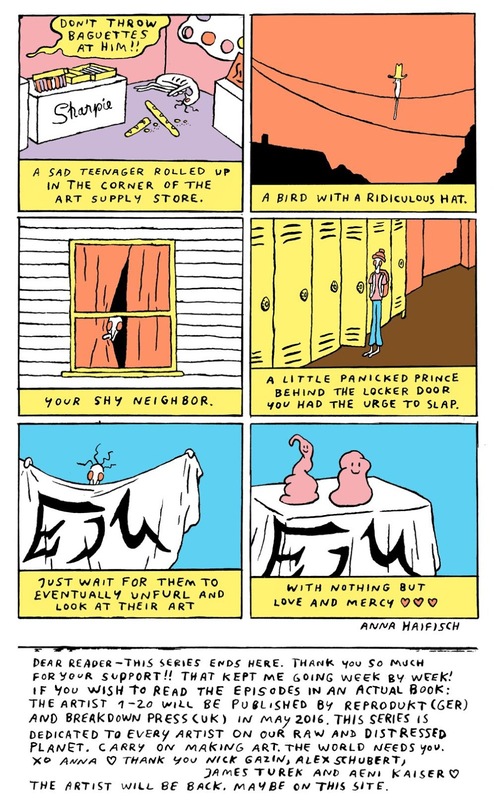 The Artist, by Anna Haifisch. Haifisch's work bears a superficial resemblance to that of Michael Deforge's with her thin line, background detritus and distorted figure work. Though originally printed in Vice, these comics certainly fit in with the Breakdown Press aesthetic. The use of color is slightly off-kilter, the humor is bleak and yet there's a certain propulsive quality at work here with regard to the nameless protagonist. To a degree, a strip making fun of the art world and those whom inhabit its margins is shooting fish in a barrel. However, Haifisch is careful to never let the punchline stray very far from the Artist himself, a lean, pale and bedraggled figure with four frizzled strands of hair extending from his head and bloodshot eyes. The book consists of short vignettes, with a splash introduction and then a two-page story. That keeps the book moving quickly, as Haifisch has to get to her punchlines without dawdling. The second story, where the artist goes to a gallery show, is hilarious, especially when he says "The world was waiting for this, Marcel 'Douche"-Champ" in response to a ripped campus with a neon light behind it. The visceral disgust toward a naked guy doing performance art was particularly delightful. Much of the rest of the book focuses on the artist's natural agoraphobia, inability to finish assignments, and overall crippling depression inhibiting his ability to create. A strip about a smug rejection letter from a gallery sees a sinister figure smash the artist's head down. The worst part about the rejection letter was the gallery sending cheap candy and a toy as compensation for the rejection, as though the artist was going to a birthday party and getting a goodie bag. 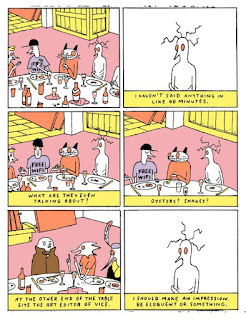 An anxious group dinner leads the artist to say something, no matter how stupid, just to make himself known. A trip home to his loving parents turns humiliating as they tell him their plan to try to encourage the family dentist to buy one of his paintings by putting it in their bathroom when he visits for dinner. The artist's drone art concept turns into tragedy, complete with broken glass and a dead pet. A court judges him for "withdrawn artsy behavior" and finds him guilty for "total uselessness", especially after he reveals his income. After this combination of self-flagellation and sharply observed humor (often preceded by an image invoking a classic work of art), the final strip is both satirical and sweet in its admonition for people to take care of the poor artists in their lives. This is a perfectly-realized book that doesn't wear out its welcome, with a sharp sense of design, engaged sense of humor and a self-awareness that punctures every ounce of pretension possible in the discussion of art and the life of an artist. Klaus Magazine No. 2, by Richard Short, et al. 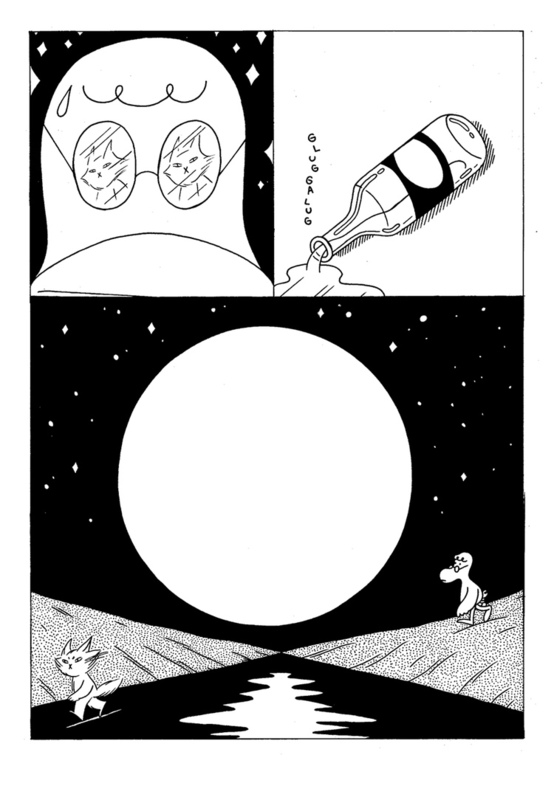 Short's whimsical, poetic and sometimes bleak comics start from a Charles Schulz template but grow increasingly complex, philosophical and beautiful. As I've noted before, the earthy and sometimes coarse humor as well as the bizarre, anthropomorphic animals remind me a bit of Jon Lewis' classic True Swamp, and the greater sense of continuity in the stories here just reinforced that pleasant association. The book starts off with the titular cat waxing philosophic while laying indolently in the fields, until he happens upon a horse that he secretly falls in love with. The main theme of this issue is what happens when intense desires go unfulfilled, starting with the seemingly calm Klaus being in reality a seething cauldron of lust and hunger. Short often springs images like Klaus badly wanting to eat the bird friend next to him who asks him what he's thinking but managing to restrain himself. What makes the gag so effective is that in response the bird says, "I understand--to name a feeling is to lose it..."
Short takes that theme and expands on it in the story "Fancy", which is all about unrequited love/desire and the sense of being alienated from both one's past and present circumstances. The story revolved around Klaus' desire for Lovely Horse, Lawrence the duck's sad love for a pet cat gone astray named Fancy, and Fancy's intense conflict between freedom and being a pet again. For Klaus, he suffers in sweaty silence, as he always does. For drunkard Lawrence, he attaches himself to the cat in any way possible. Fancy is the character lying to himself and others, as he concocts a plan to free the neighborhood dogs as a ruse for getting rid of the dog that blocks his way back into his old house. It's the sway of a demagogue, with only Klaus being disinterested. The story ends with no one being satisfied, as even Fancy's plans go awry and he's forced to embrace being feral in order to survive. In terms of the oddity of the character design and the expressiveness of the characters, Short's comics are endlessly entertaining, plumbing the character's emotional depths and providing the fodder for some remarkable punchlines. 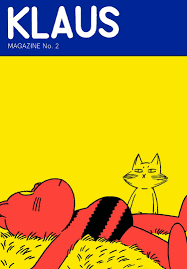 There are also a number of other features in the magazine, including guest Klaus strips by Michael DeForge (who concentrates on the horror of visual representation) and Alice Socal (whose entry is closer in spirit to Short's). It was fascinating to see Short collaborate with Joe Kessler (the superstar of Breakdown Press), with Kessler's bright and discordant color schemes merging with Short's poetic,existential storytelling. Their story is about conflicts in the nature of identity being conflated with being embodied, with a dog running in the desert representing the height of dogness because of its total commitment to running, as opposed to Klaus and the stray wanting to be freed from their bodies, which they viewed as prisons. The final Klaus strips find Short really exploring the limits of the four-panel grid, exploding the imagery in an almost psychedelic manner in some panels. 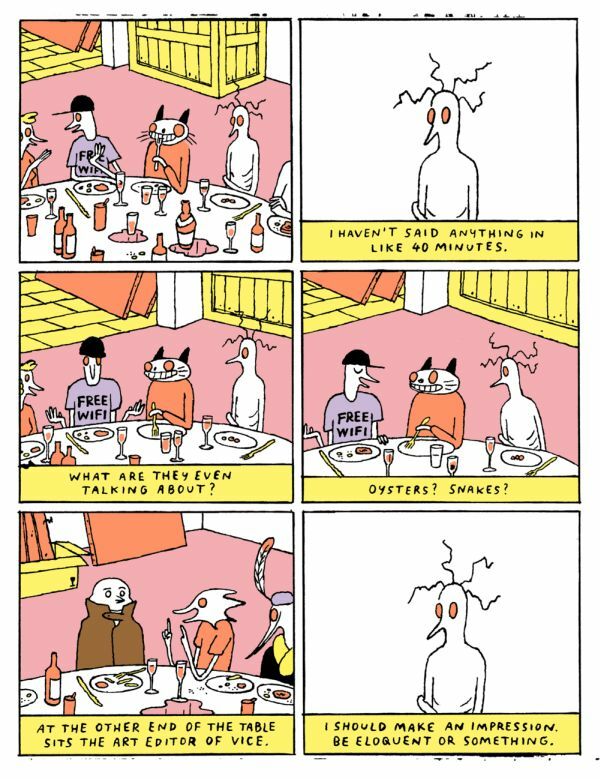 There's a density to this comic that makes it an especially satisfying read, with both its visuals and its writing equally significant in creating the humor and pathos that make up Short's work.